The Porsche Cayenne is a very practical SUV with all the style and status that makes Porsche a leading aspirational brand, and this particular version with its range topping, mighty twin-turbocharged V8 has the kind of performance that would have been the sole reserve of supercars in the not too distant past. The immense power enables drama free overtaking, although it's wise to keep an eye on the speedo as you'll reach legal limits far quicker than you might expect due to the car masking its abilities extremely well beneath a luxuriously appointed and spacious luxury cabin. With adjustable handling settings and permanent four-wheel-drive the Cayenne, won't find any float or wallow even at high speed despite its sizable proportions, rides like a saloon and drives like a sports car, in fact not too many sports cars can match its blistering 0-60 time of just over 5 seconds. The Porsche Cayenne seats up to 5 adults in plush leather with plenty of legroom and space for luggage in complete luxury which includes a leather-trimmed dashboard, Bose surround sound. Find out more. 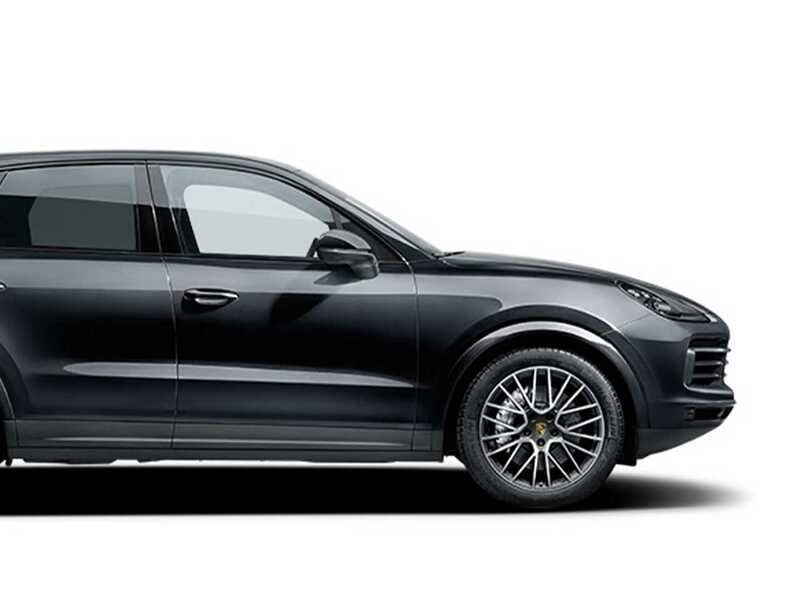 The Porsche Cayenne has BOSE Surround System, Porsche Active Suspension, panoramic roof system, side running boards to name a few of the options that come with this vehicle. In 2002 car enthusiasts were distraught at the thought of their sports car idol Porsche building a Chelsea tractor. Upset they may have been, but the Porsche Cayenne has been a roaring success since its launch and is now a well-respected member of the enlarged family. The Cayenne is a large car, how times change! Ferdinand Porsche was one of the very first to prove that smaller cars could be faster in a race than larger, more powerful vehicles He built "Sascha" at the request of a rich filmmaker that the car was named after. It was significantly smaller than its rivals, yet won 43 races, including the legendary Targa Florio in 1922. Today the Cayenne with 5 people on board would no doubt beat this early pocket rocket.